The trip from Golfito, Costa Rica, where we checked out of Costa Rica and obtained our Zarpe, to the Panama Canal, was marked by lots of exciting events. We passed our southern most point of our trip! We lost our radar in the middle of the night and Mark hoisted Letitia up the mast (for which I have pictures...because he took pictures!). 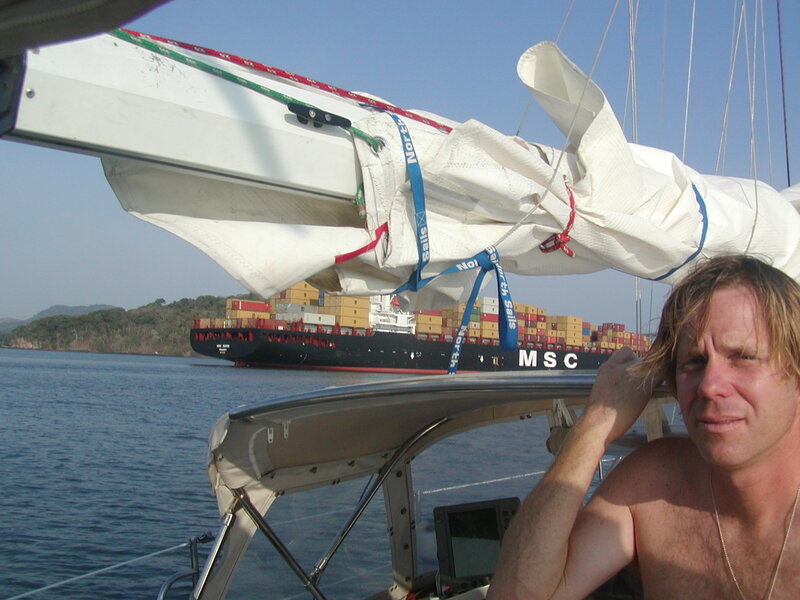 We stopped for the night, Wednesday night, at the Islands right before the canal, only to find out the winds there were tremendous and we had to go all the way to the Panama Canal channel in the dark of night, unexpectedly. We hired an agent, Tina McBride, that got all our paperwork done for us by Thursday at noon, which was the start of the Good Friday holiday weekend. We got to hear the Bishop of the Panamanian Diocese speak, Bishop Murray, at the Easter service this morning at the Episcopal Cathedral....Catedral de San Lucas, in Anton. We are staying for a few days at a Carlson hotel, the Country Inn Suites and Hotel, which overlooks not only our boat, but the canal as well. We can see the Bridge of the Americas and our boat is moored at the Red No. 16 buoy within the Panama Canal Channel. We see and watch freighters go by all day and all night. The boat endures the waves from the rushing tugs that go in and out of the canal. 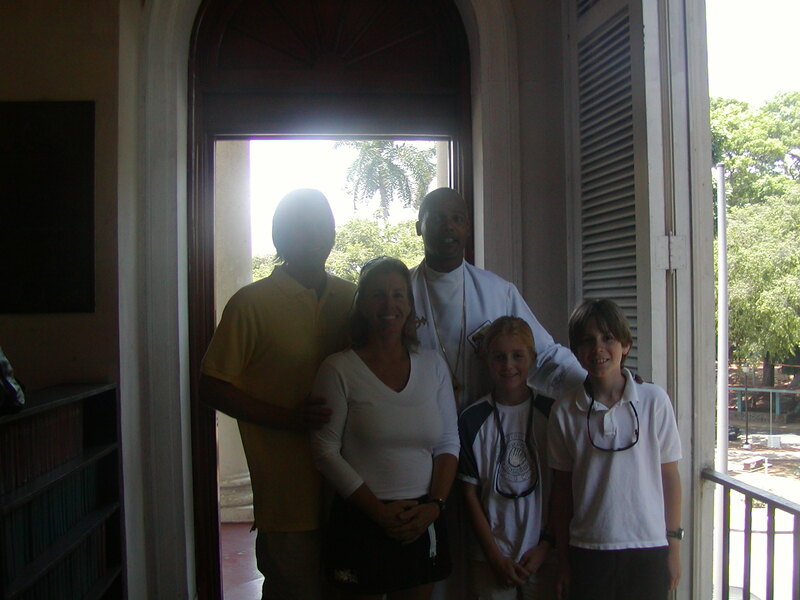 Our reservation to transit the canal is for Friday, April 16th, 2004, at 5 am! 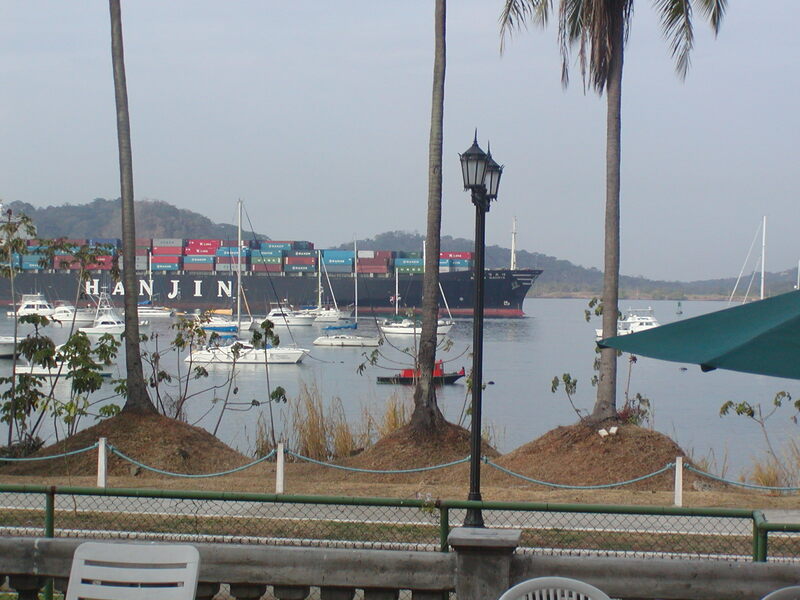 We are returning to the boat tomorrow, Monday, April 12th, and then will be going on a tour of the Mira Flores Locks, and we will be going to the Gamboa Rain Forest Resort for a night and a day. Also, we will be taking the 1 hour train across the Isthmus to Colon and taking a cab back. This is the infamous Panamanian railroad that was instrumental in the building of the canal. Bishop Murray of the Panama Diocese this morning after Easter Services. 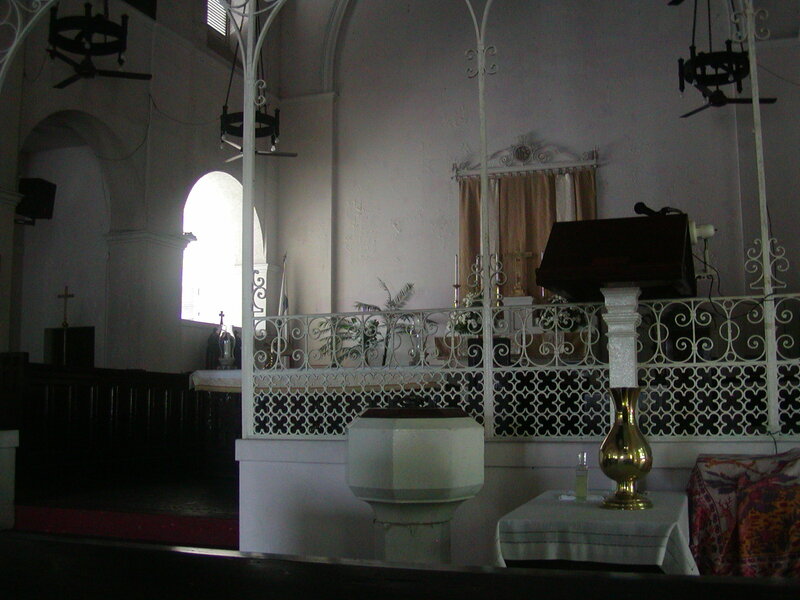 The Catedral de San Lucas in Anton, Panama. 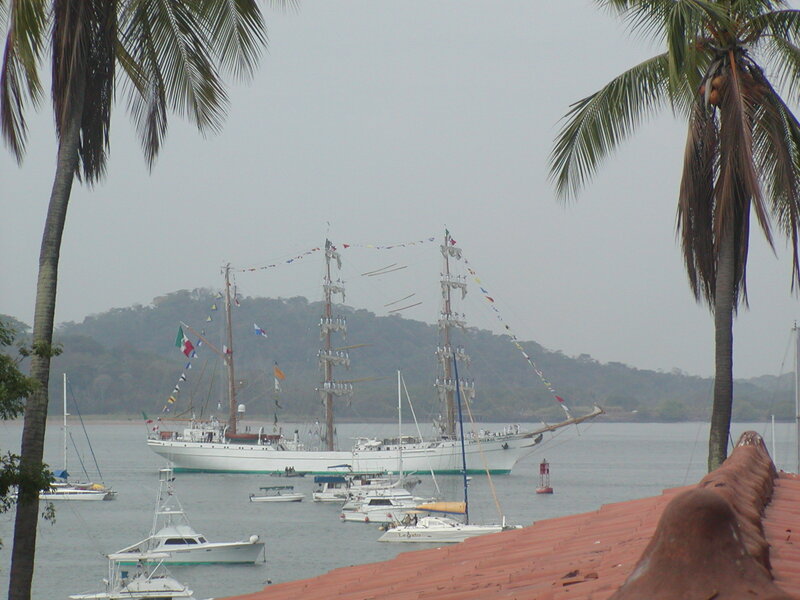 A square rigger, replete with men all along the booms all the way to the top, entering the Pacific side of the Panama Canal. This picture is taken from the balcony of the Country Inn & Suites Hotel and our boat is moored right next to this square rigger! 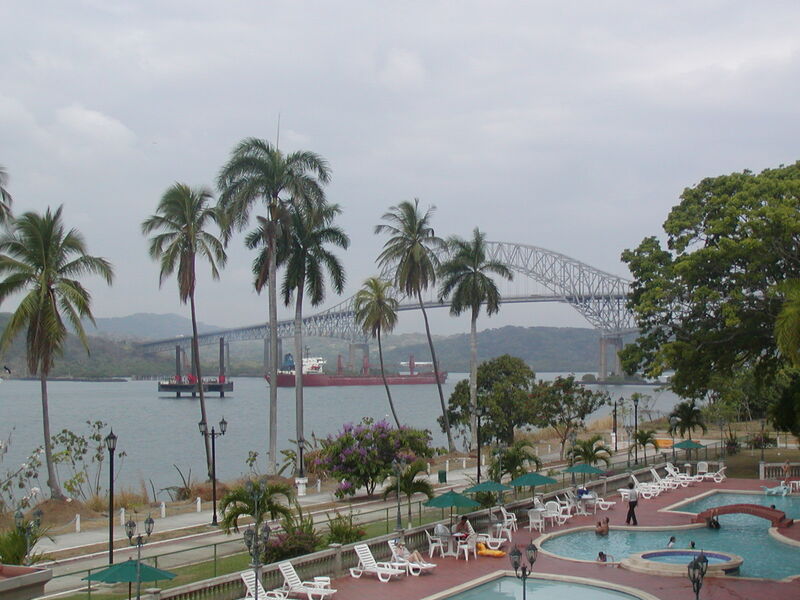 A tanker entering the canal going under the Bridge of the Americas. The hotel pool is below. 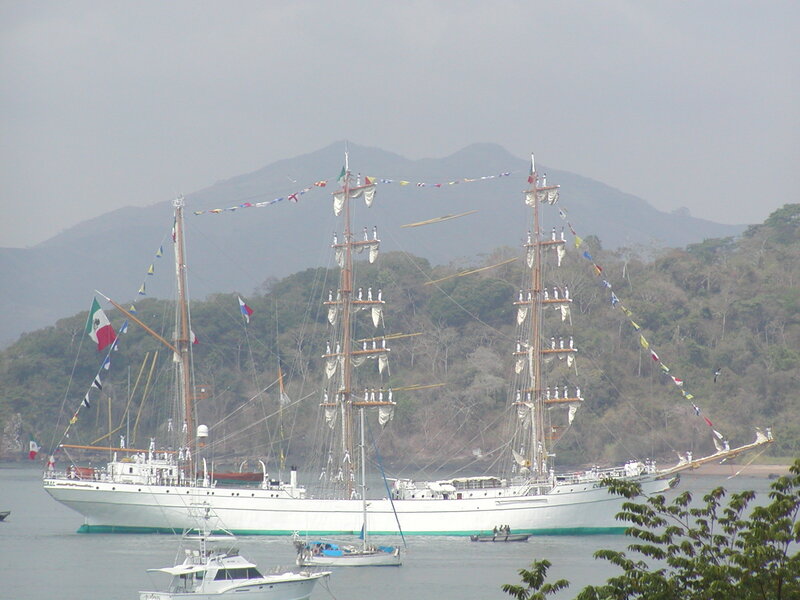 Our mast in this picture is the tall white one (you can't see our hull) aft of the square rigger's forward most mast. That is how close we are moored at the Balboa Yacht Club (if you can call it a yacht club! ), in Panama, 16 buoys inside the Panama Canal Channel. Another tanker entering the canal. Our fearless Captain, the morning after we arrived late the night before! This picture is not meant to embarrass Mark, though I suppose when he sees it on public web site, he might be, it is meant to show the closeness of the channel to our mooring! 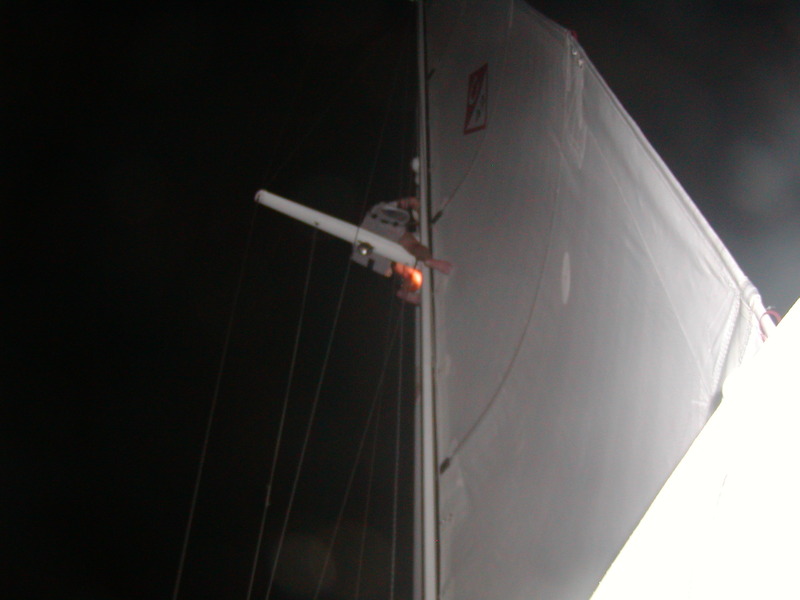 This is Letitia up the mast at 1:30 am after the radar jumped its gimble. The radar weighs at least 20 lbs. or so it seemed after an hour and half trying to lift it up to get it back on! More after we pass through the canal!